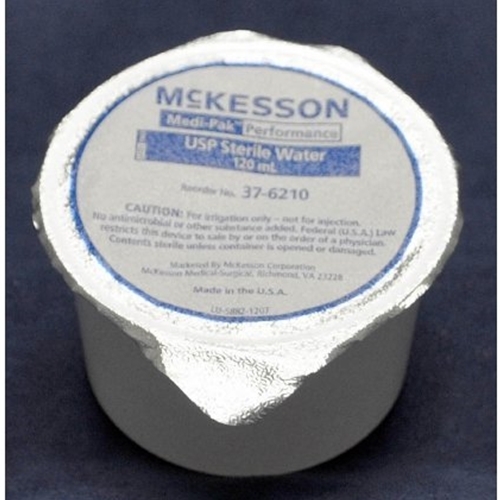 McKesson USP Sterile Water from HealthyKin.com is an irrigation solution for moistening of wound dressings, wound debridement and device irrigation. Very fast delivery. Packaged nicely. I'm not sure why sterile water is so difficult to find. My wife had an injury where sterile water was needed to irrigate the wound. The wound was a crush wound on her foot with several fractures. 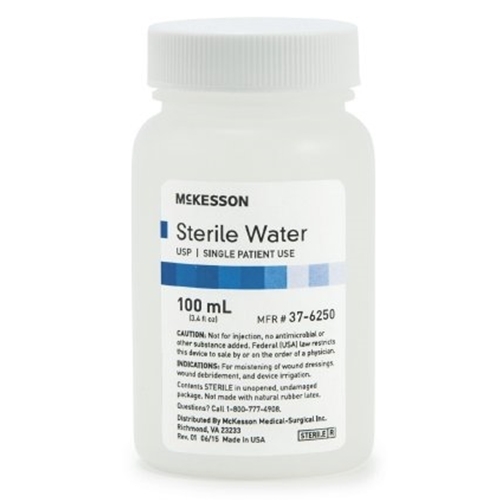 The doctor insisted that we use sterile water so I tried several; pharmacies and non-had sterile water. So pharmacies even called their suppliers to no avail. In desperation I went on line to see if Amazon could find what I needed and after a brief search they did. McKeesson came to the resque. Easy website to view and fast service/delivery. Very satisfied with quality of item. Fast delivery! Perfect size for individual daily treatments! Good solution for me. It's enough to fill 3 60 ml syringes with a little left over. When I'm done the syringes and the water go into the trash and I'm done.